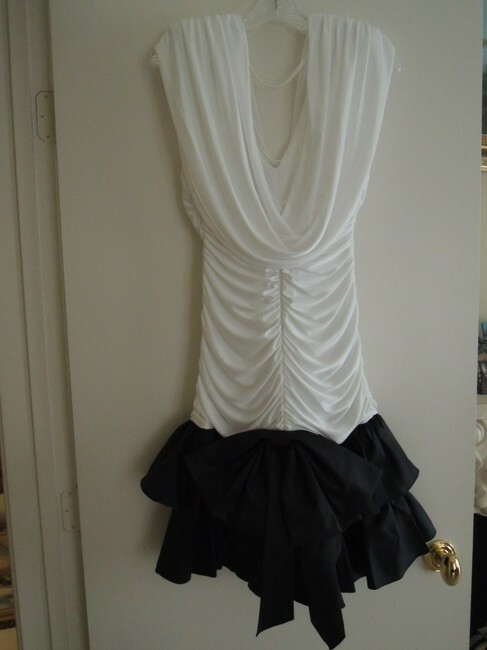 Ladies Dress Size M Ruffled Bottom Draped Neckline Drop Waist After 5 Cocktail Dress. This "after 5", black and white mini dress is a size medium and would easily fit a size 8 through 12, depending on how snug you wear your clothes. The party dress has a tapered fit at the top portion throughout the hip area intending to give one an hour-glass figure. 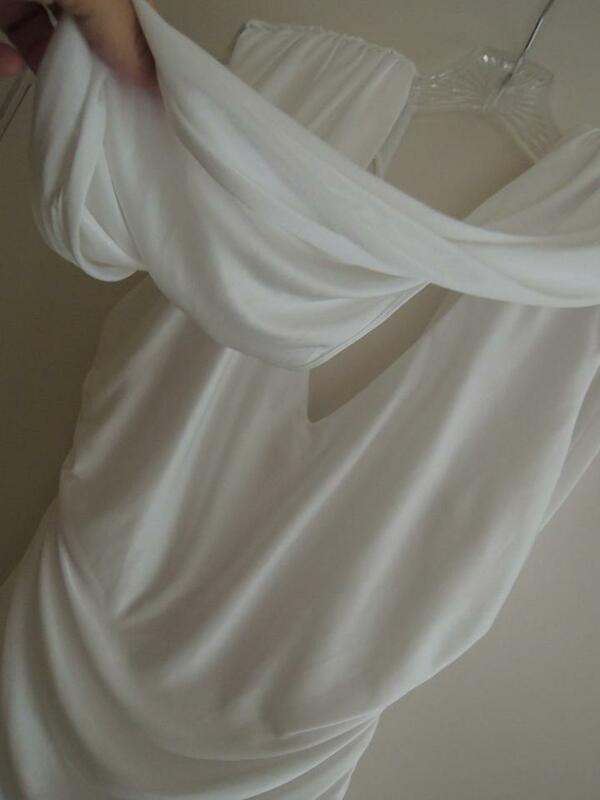 It has a draped neckline for a flowing look and is draped in back which hides the back zippered closure at top. 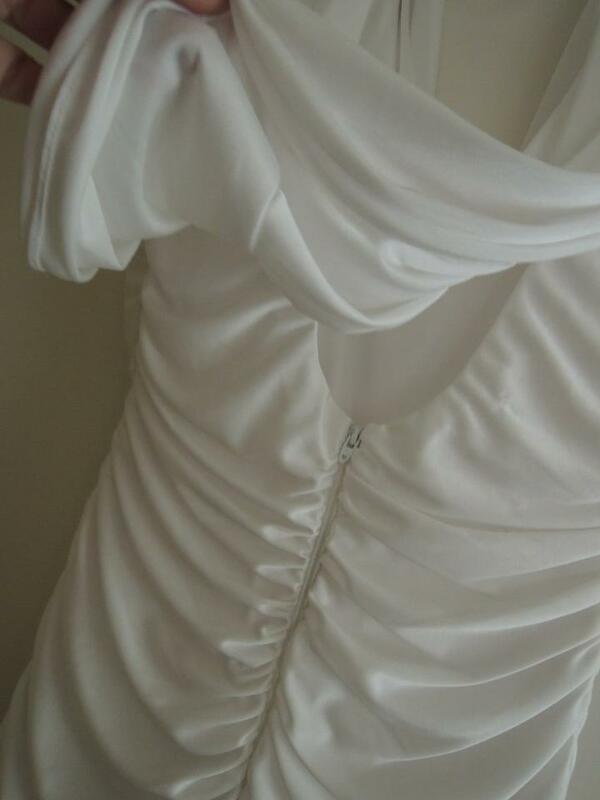 The back is also gathered right around the zipper, accentuating the backside. 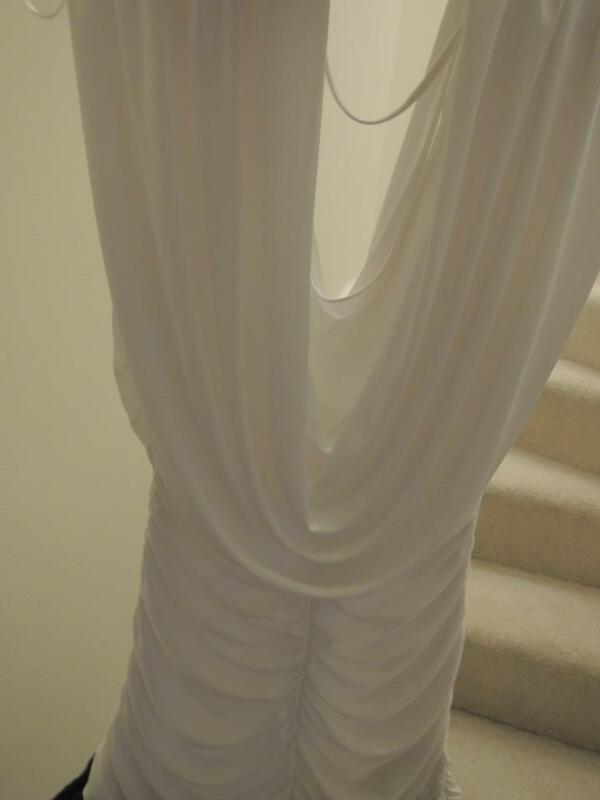 There is slight padding at the top of the shoulder area and has gathering on the sides to further accentuate the figure. The dress is ruffled at the bottom in a double layer and has a built-in lacy crinoline black slip to keep the "poofed" up full shape at the bottom, accenting the legs as you walk. Length is right above the knee and in my estimation would nicely fit someone 5'4" tall through 5'11" tall. 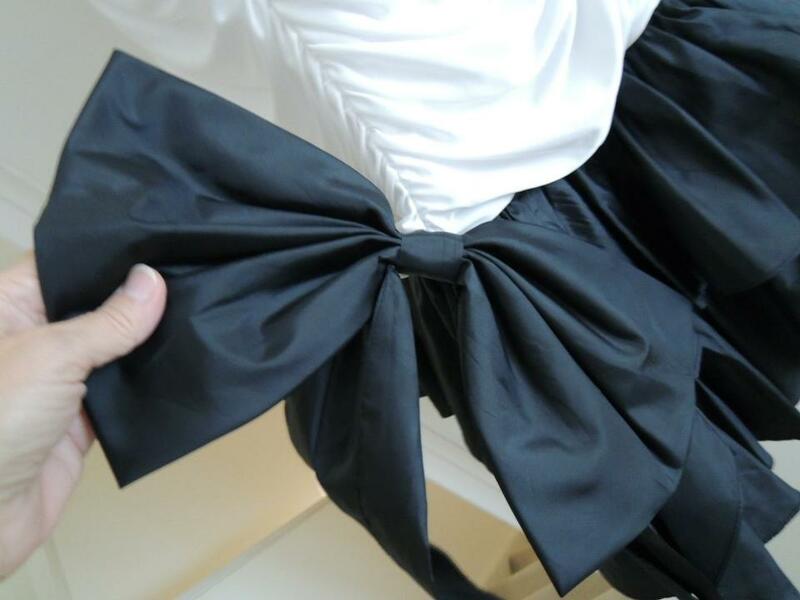 The back ruffles also have a large bow attached to them, further accenting the backside as you walk. 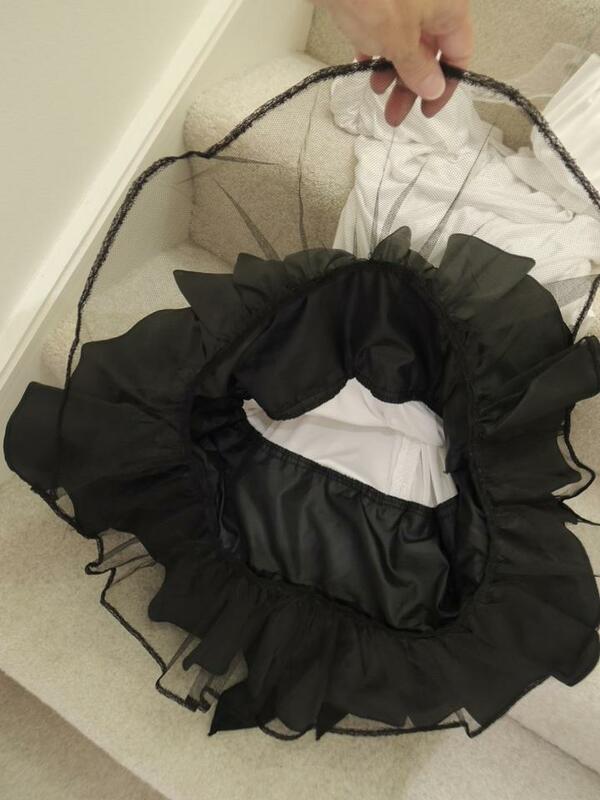 (Note: exact material content is not spelled out anywhere on the sewn-in tag so I would guess the top portion is made of a nylon/polyester blend material and the bottom made of taffeta which is used for a lot of party dresses). The sewn-in tag states "Contempo Casuals". 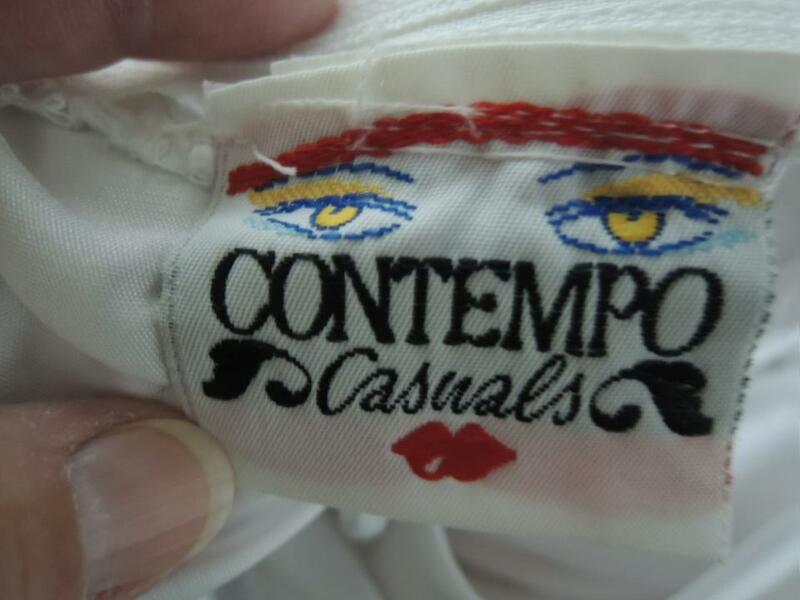 Contempo was a trendy ladies boutique store in the Chicago area and this dress was purchased there for big money. 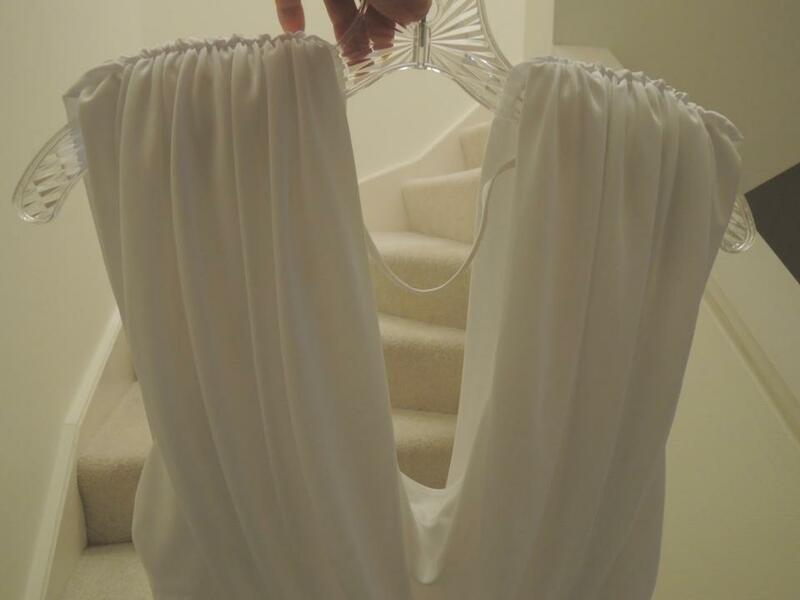 Dress was worn once for a wedding (so the size and care tag was removed) then dry-cleaned and properly stored. 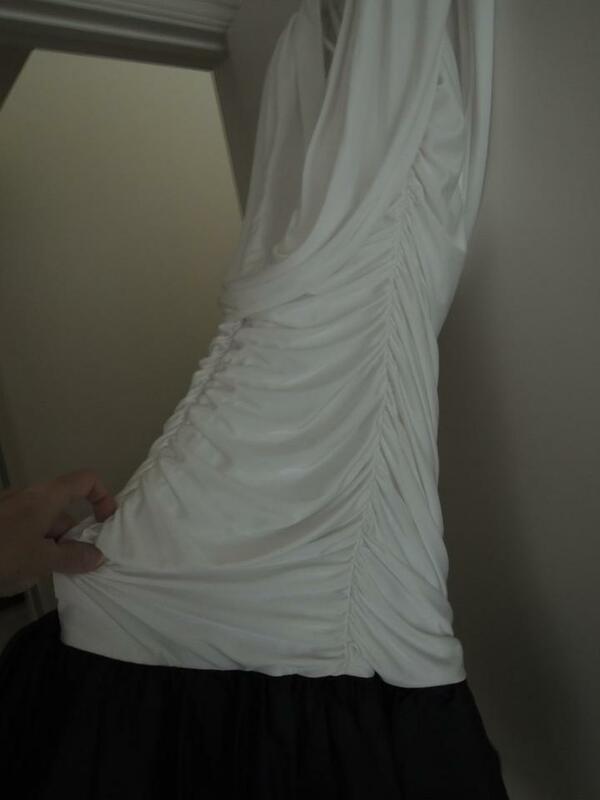 These types of dresses retail for $250-$400 when purchased brand new, making this one a real bargain, considering the excellent condition it is in. 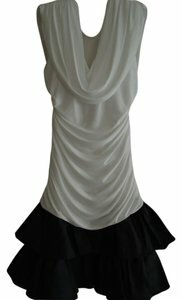 Makes a perfect party or cocktail dress for holidays, weddings, celebrations or any special occasion. Stored hung up on a hanger in a cool dry place. Comes from a smoke-free/pet-free home.